I live in tiny Vancouver studio apartment. I love my home, but I often find myself complaining about the lack of space to stretch my creative wings. I envy those folks with sprawling custom kitchens and space for all manner of photography prop. I thought I was justified in my complaining, but then I got a reality check. 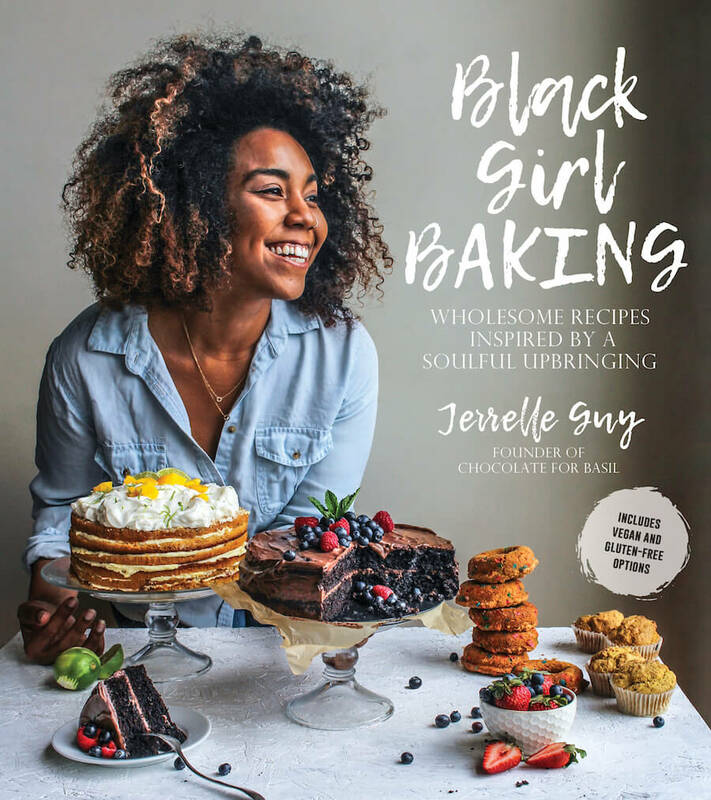 Jerrelle Guy, author of Black Girl Baking and founder of Chocolate For Basil, creates some of the most mind-blowingly gorgeous food and photography in a 350 sq ft loft apartment. I’ve been admiring Jerrelle’s work on instagram for ages, so I was ecstatic when she offered to send me a copy of her new cookbook. I practically ran to pick it up at UPS. It was worth breaking a sweat for. Black Girl Baking is a delight. It is original and full of personality. The recipes are organized by sense — sight, aroma, sound, touch, and taste. It’s an unorthodox way of curating, but it feels right for this playful collection. 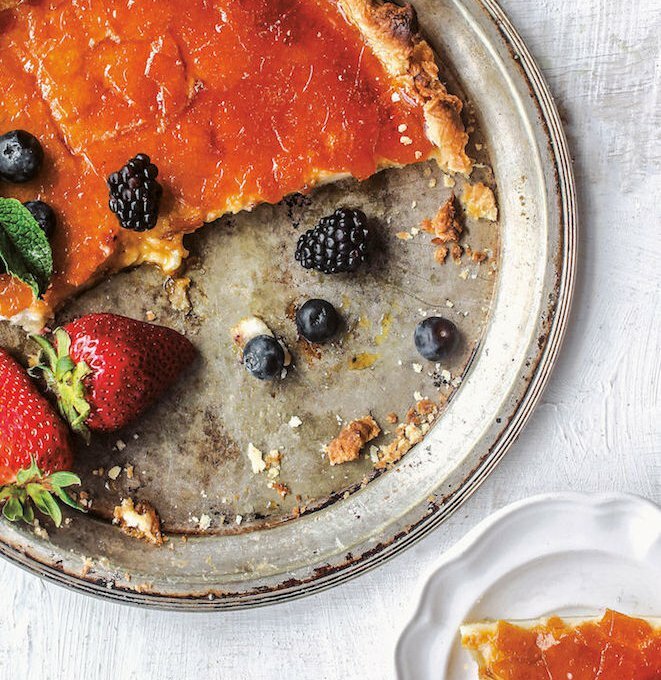 This is a book full of gloriously golden-brown food photography and approachable recipes. You are going to want to make space for this one on your bookshelf, even if you live in a tiny studio apartment. Below is an excerpt from Black Girl Baking and a recipe posted with permission. My great-aunt Doris recently shared her buttermilk pie recipe with me over the phone. I swore something got lost in translation when a cup of melted margarine pooled to the top, burning the sugar and eggs in the pie. It reminded me of crème brûlée. I remembered cracking the surface of my very first pot of crème brûlée. A gentle whack from my spoon’s edge, and the sugar split like an eggshell, revealing underneath it the smoothest custard I’d ever eaten. Now, great anticipation builds in me right before splitting hard sugar, right before I hear that subtle “tkkK . . . ” And I knew I needed to add that sound to this recipe. To make the crust, in a mixing bowl, stir together the flour and salt, then toss in the cubes of cold butter to coat. Using your thumb and index finger, squish the pieces of butter to flatten, and continue to break the butter up until 50 percent of the butter is crumbly, but not completely uniform in texture; you want there to be chickpea-size nuggets of butter still present. 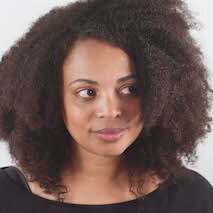 Add the cold buttermilk 1 tablespoon (15 ml) at a time, blending and gathering the mixture with your hands until a dough is formed. Shape the dough into a disk, wrap in plastic wrap and refrigerate for at least 30 minutes. While the dough is chilling, prepare the filling. To make the filling, add the buttermilk, sugar, vanilla, salt and flour to a blender or food processor and blend until smooth. Let the filling rest while the dough chills. Have ready a 9-inch (23-cm) pie dish. Once the dough is chilled, roll it out on a lightly floured surface or between 2 sheets of parchment paper into a 20-inch (50-cm) round. Wrap the dough around the rolling pin to help ease it into the pie dish, then crimp the edges into a pattern with your fingers or a fork. Place the crust in the freezer to harden for another 10 to 15 minutes. Preheat the oven to 350°F (180°C or gas mark 4) and position a rack in the center of the oven. Remove the unbaked crust from the freezer and bake for 12 to 15 minutes, or until the pie turns light golden brown. Remove from the oven and pour in the filling mixture. Bake for 25 to 30 minutes, or until the center is set and doesn’t jiggle when shaken. Remove from the oven. I like to serve mine warm from the oven, but if you’d prefer it chilled, place it in the fridge for at least 2 hours or until ready to serve. For the top layer, when it’s time to serve, add the sugar to a small saucepan. Cook over medium heat until the sugar begins to brown and bubble. Swirl the pan to help any uncooked sugar liquefy and cook for a few more seconds, then pour it out over the cold buttermilk pie. Working quickly, carefully tilt the pie dish to evenly distribute the browned sugar over the top. Allow to cool and harden for about 5 minutes, and serve immediately by cracking the top and slicing. Top with fresh berries, if desired. VEGAN OPTION: Replace the butter with dairy-free butter. See page 200 for vegan buttermilk. If looks alone are any indication as to how yummy this dessert recipe is then I am ALL IN! 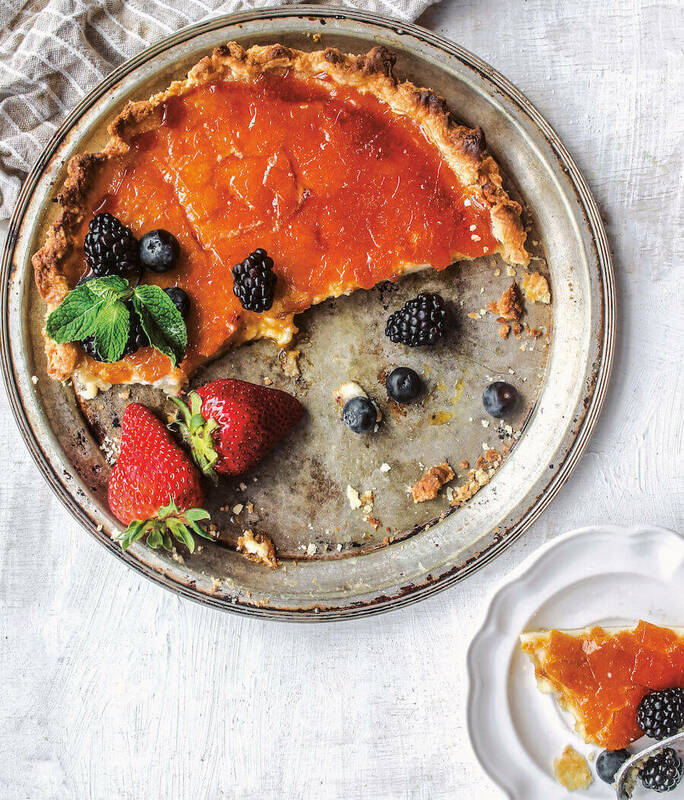 I have never heard of a buttermilk pie before, but after poking around the net it seems to be a lot similar to what is known in the southern states, and perhaps elsewhere, as chess pie. 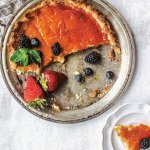 And I must say the crème brûléed top looks absolutely divine! I am going to have to give this recipe a try. Thank you so much for sharing!